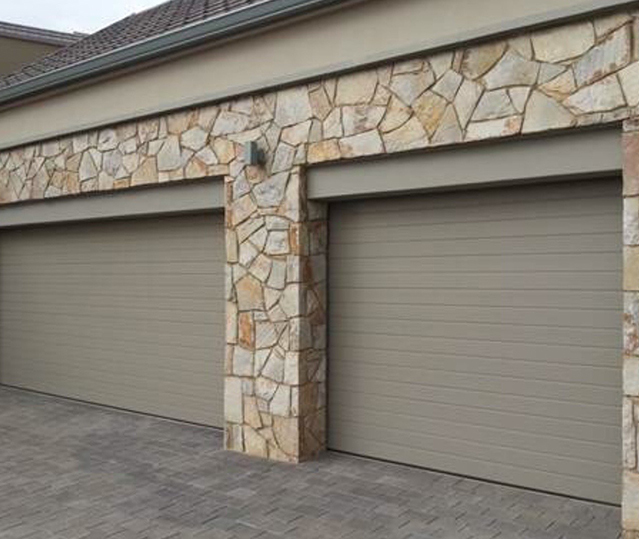 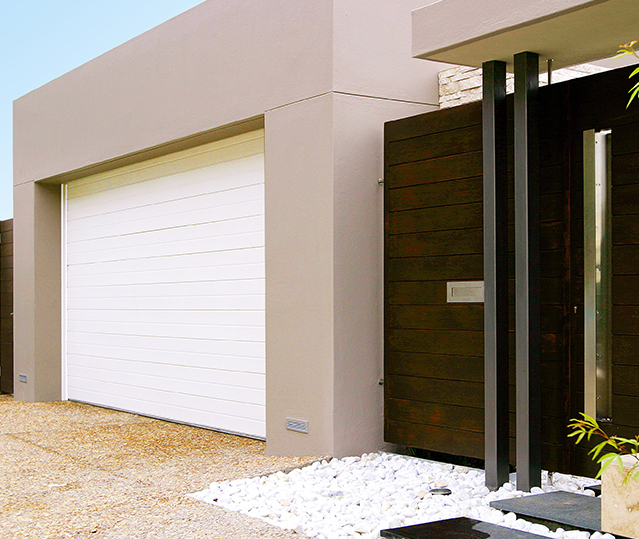 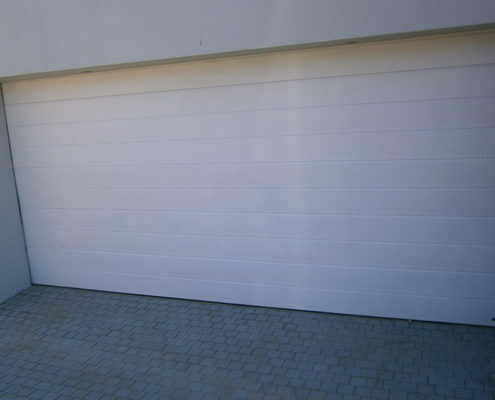 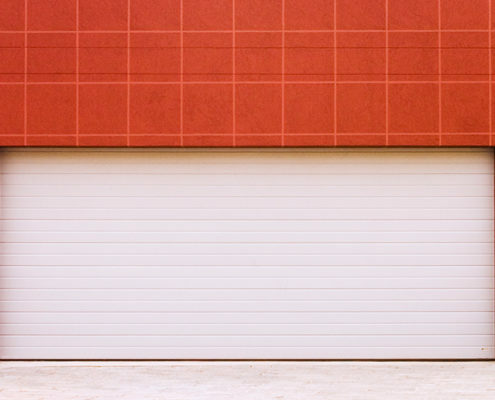 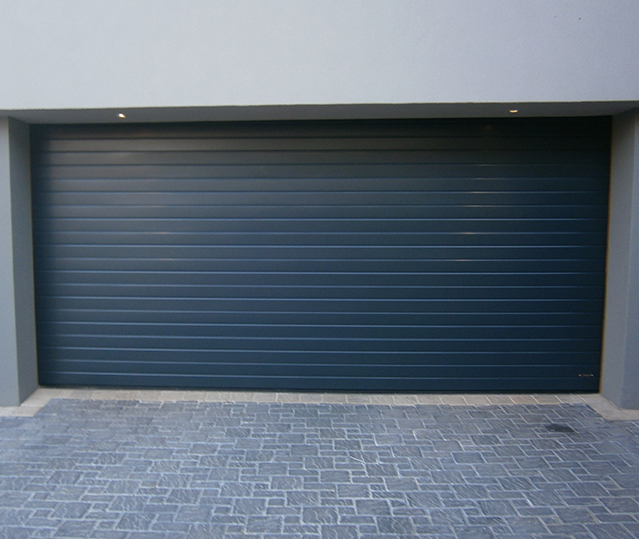 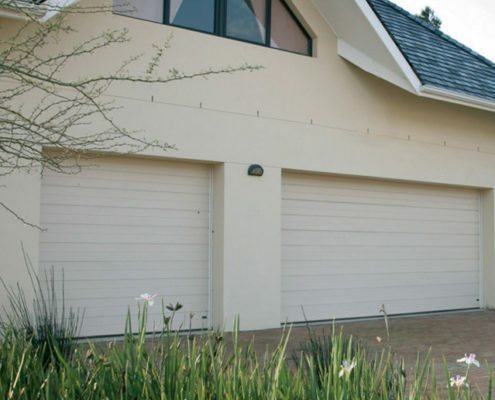 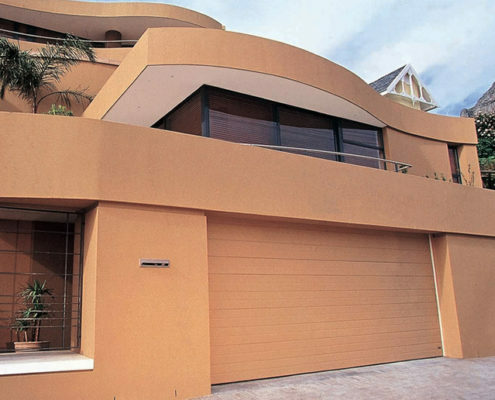 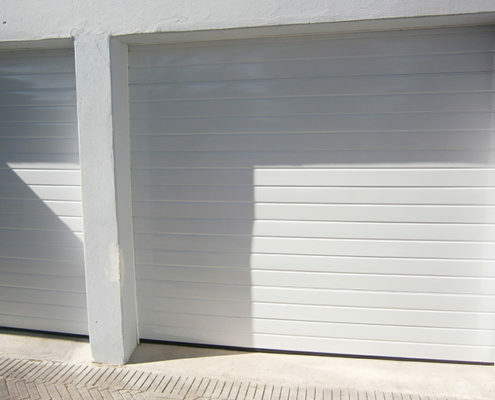 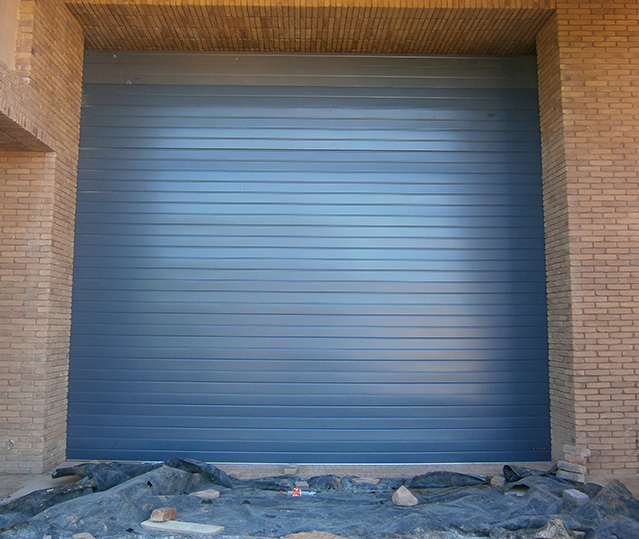 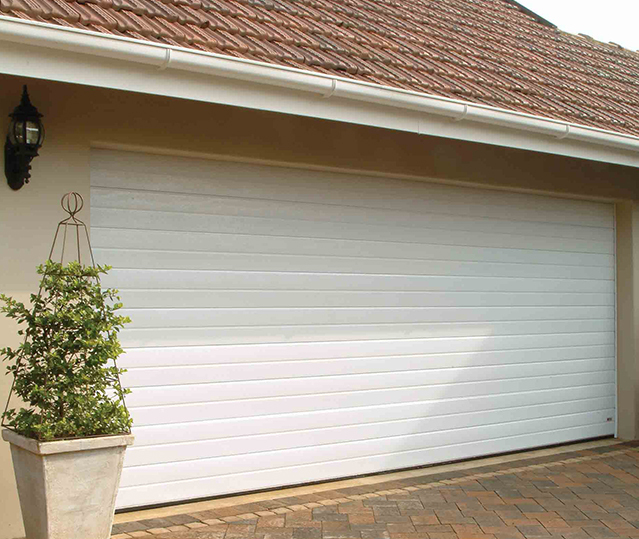 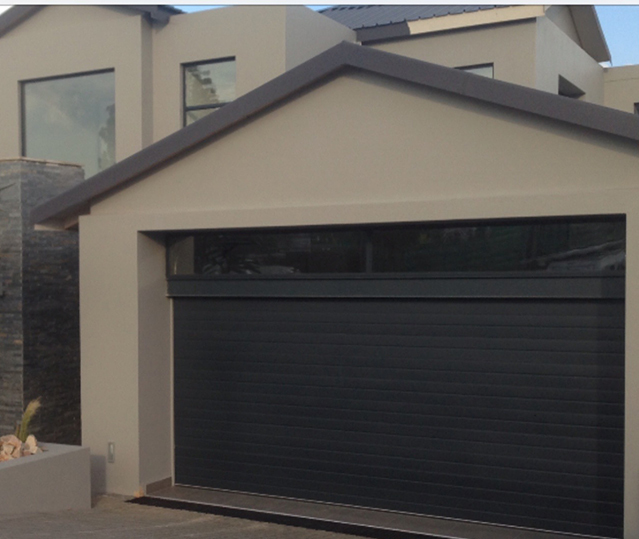 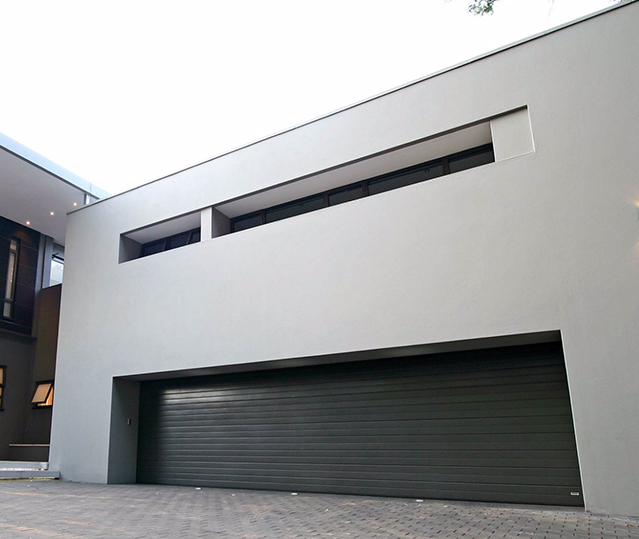 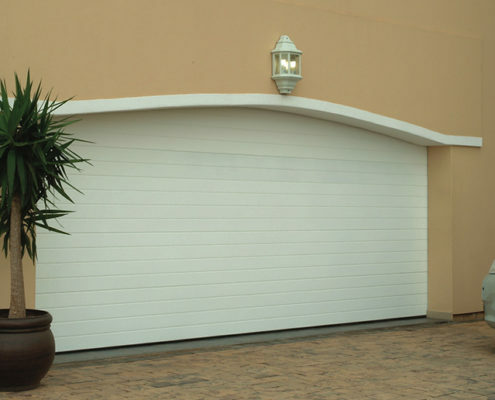 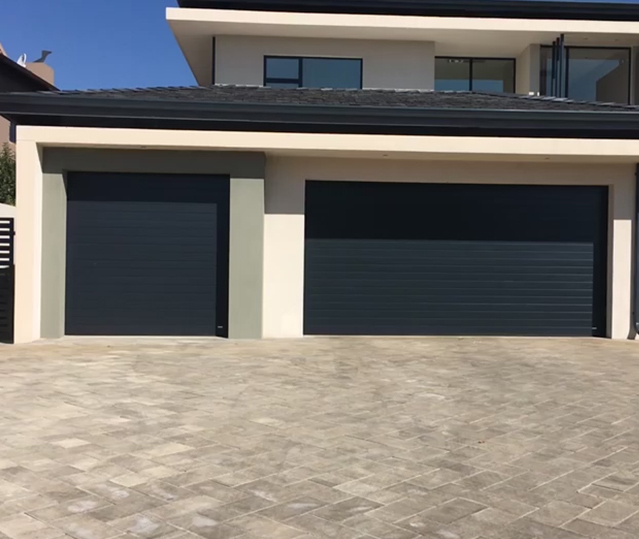 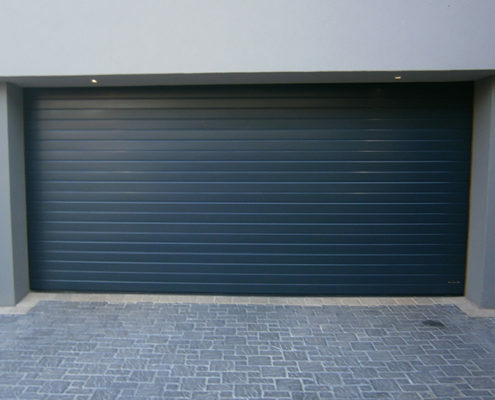 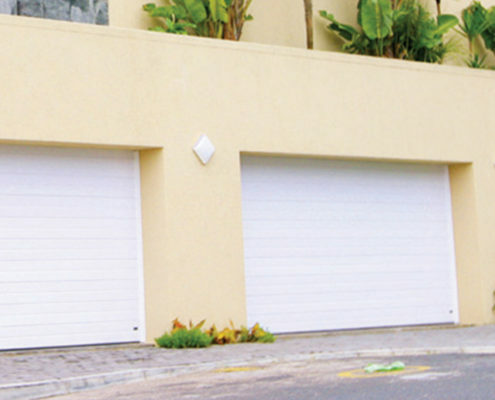 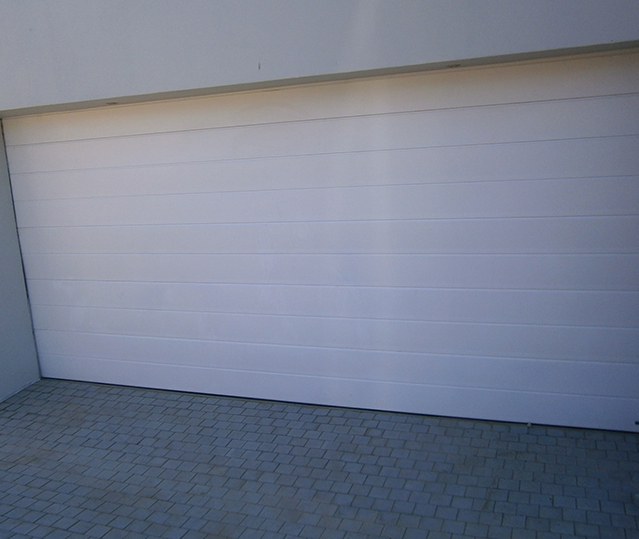 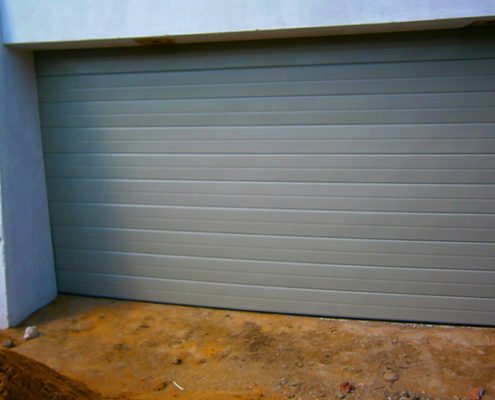 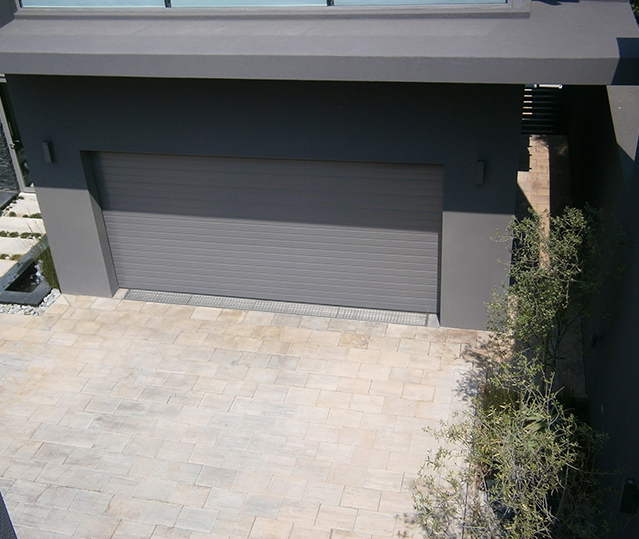 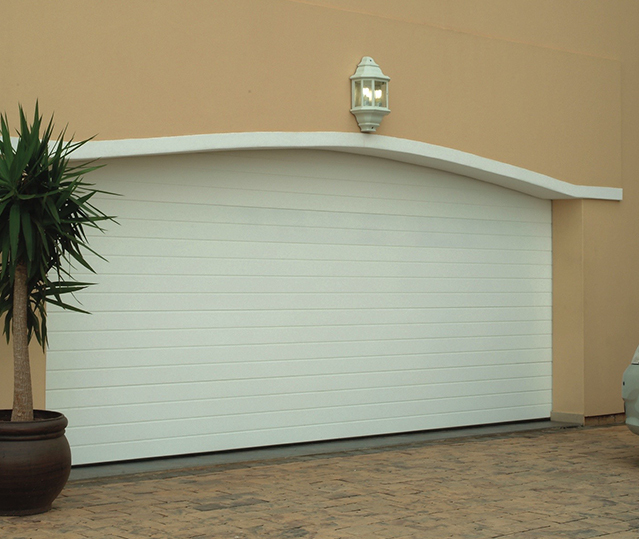 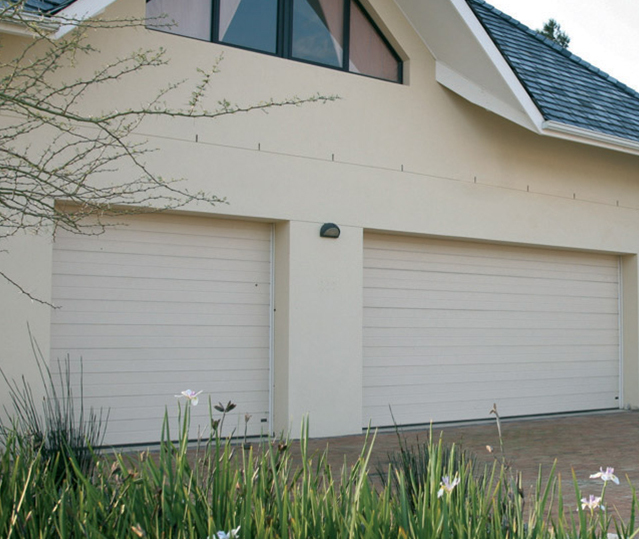 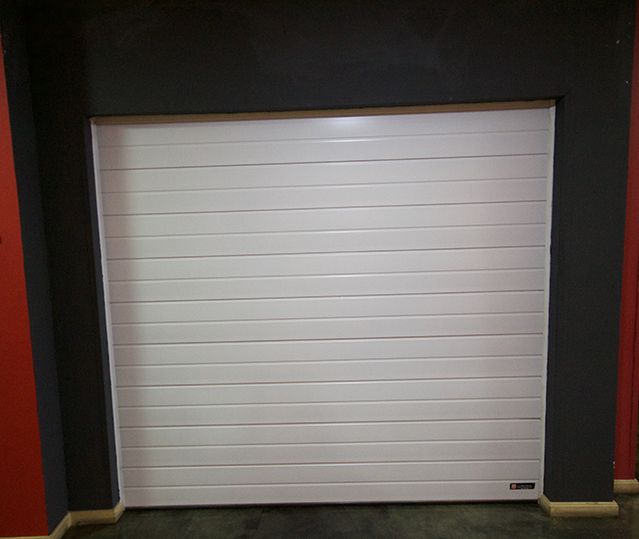 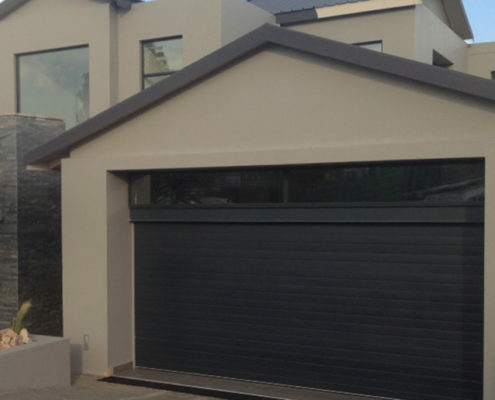 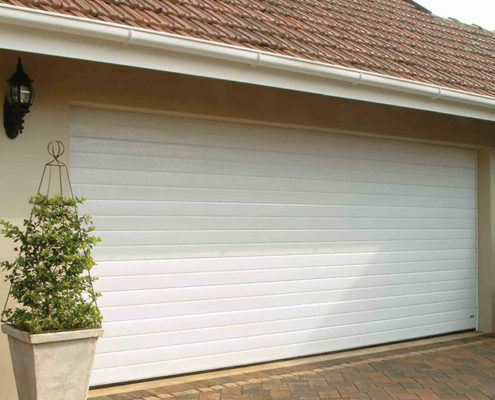 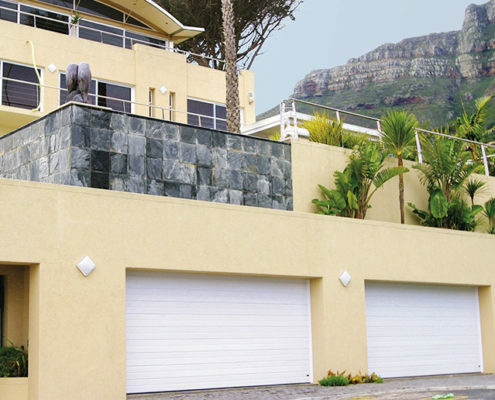 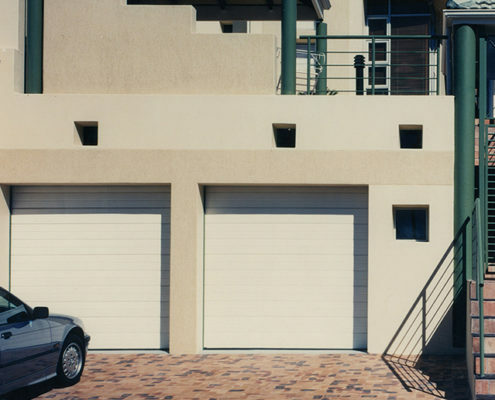 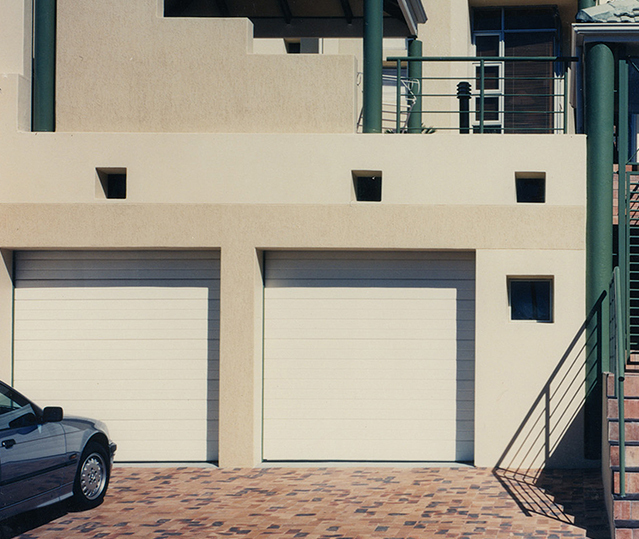 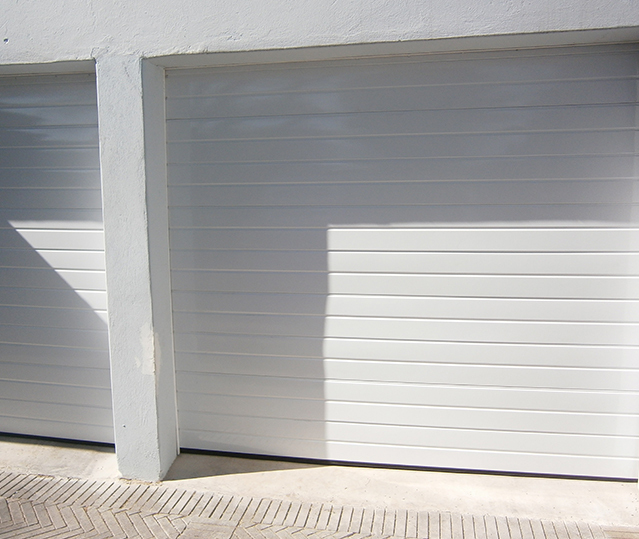 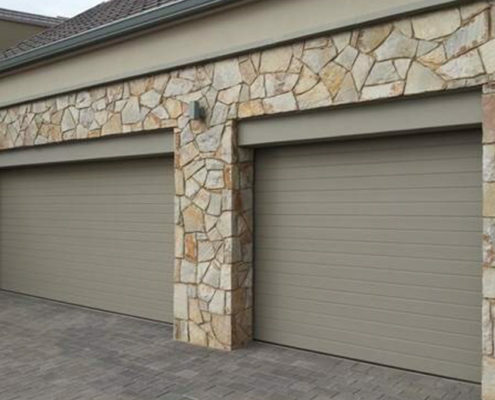 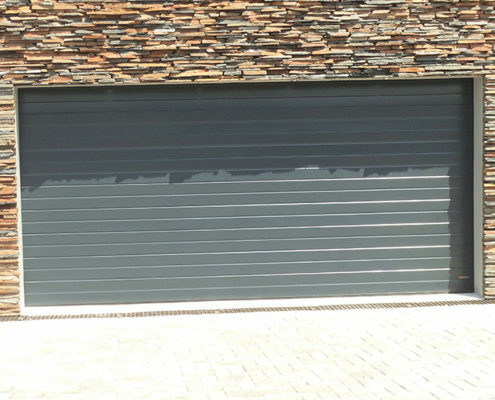 Corosmooth panels offer an attractive, low maintenance garage door, combining strength and durability. 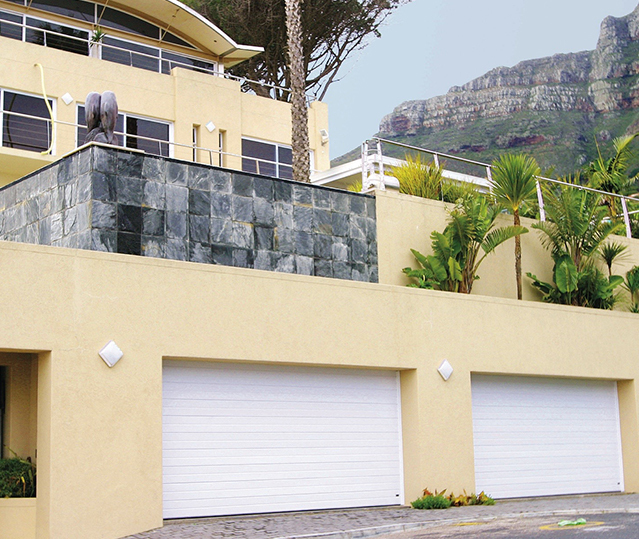 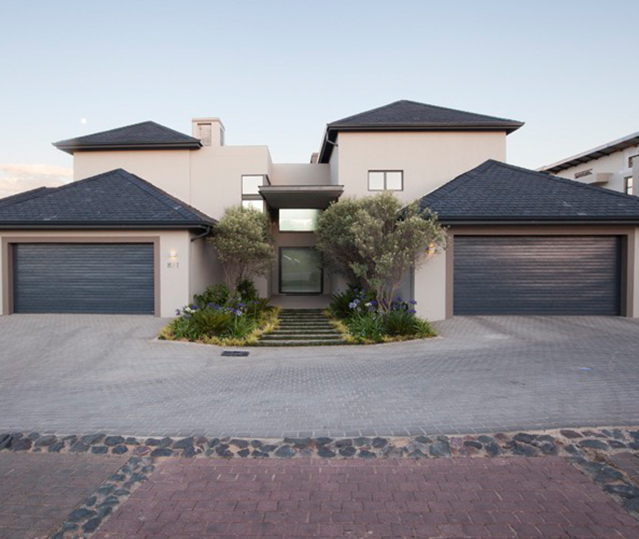 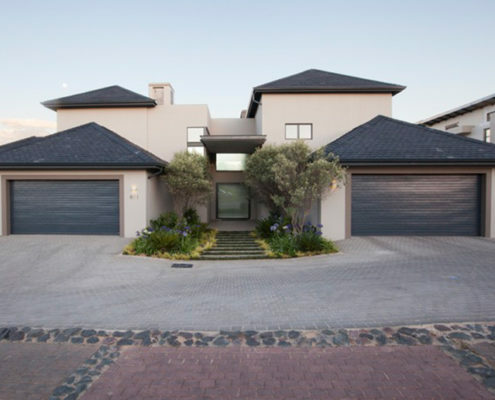 The perfect choice for property developers and discerning homeowners. 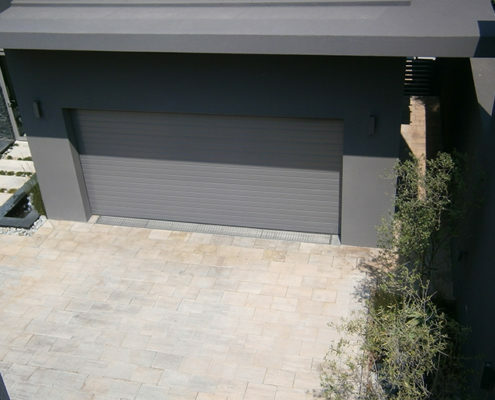 Corosmooth sectional overhead doors are made from corrosion resistant 0.8 mm galvanised steel with a corrosion resistant Cromadek coating, which is available in either matt white, matt bronze or matt charcoal. 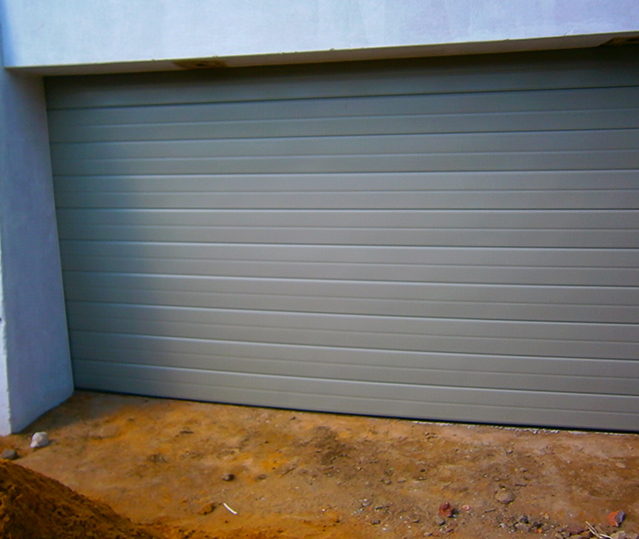 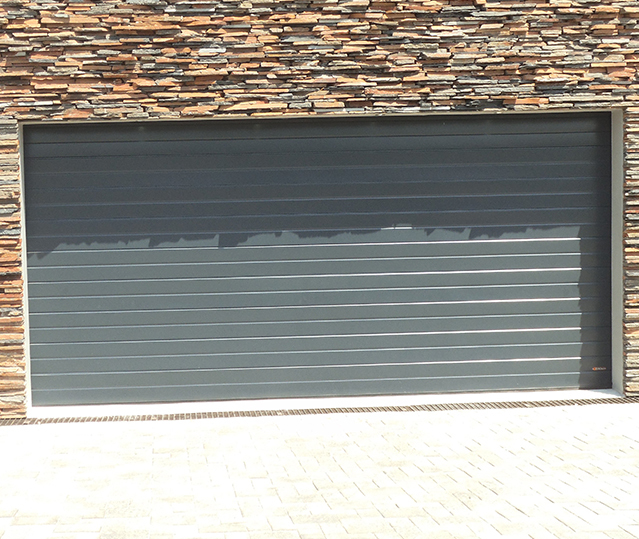  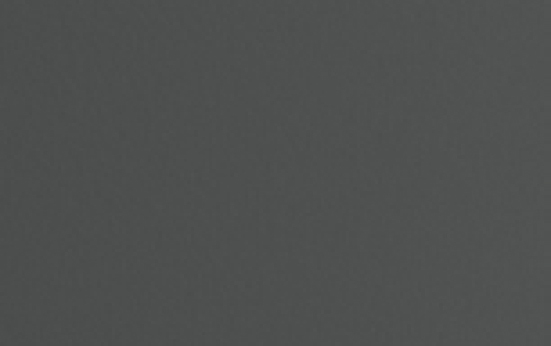  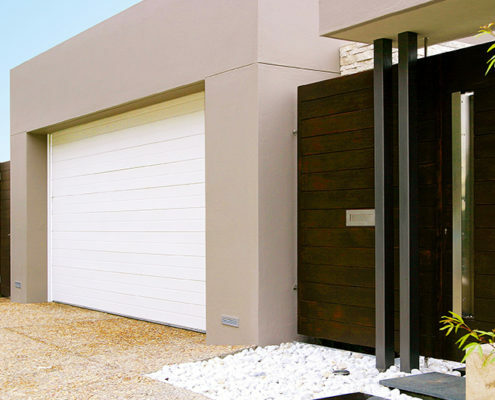 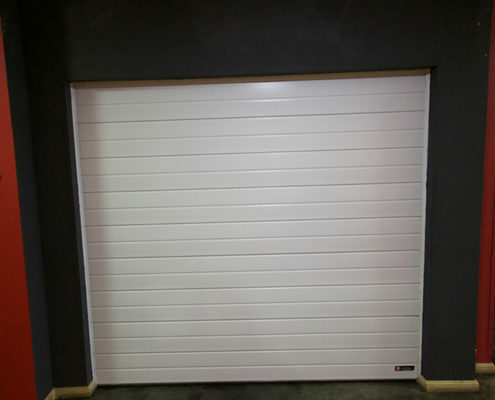 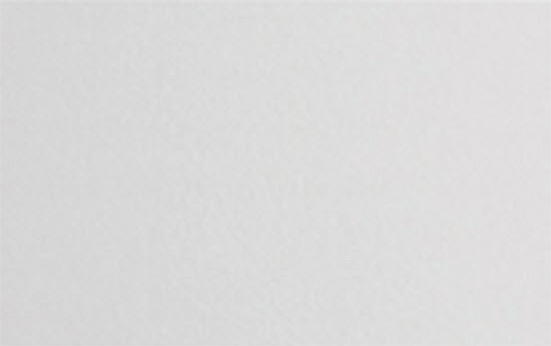 Rather than the typical embossed finish of other garage doors, the Corosmooth panel has a beautiful smooth matt finish. 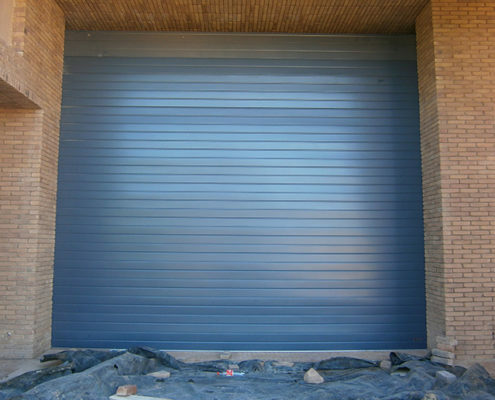 Optional viewing panels can be made in multiple configurations including mesh, laser cut grid, louvers and glass inserts. 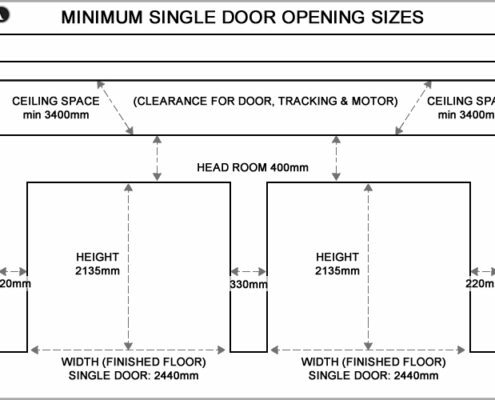 Doors come in Narrow Flute, Standard Flute, Extra Broad Flute or a combination thereof. 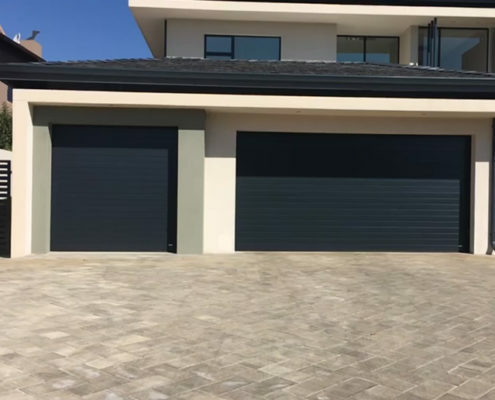 The panels are roll formed into horizontally fluted 225 mm wide modules which are riveted together to form sturdy 450 mm high panels. 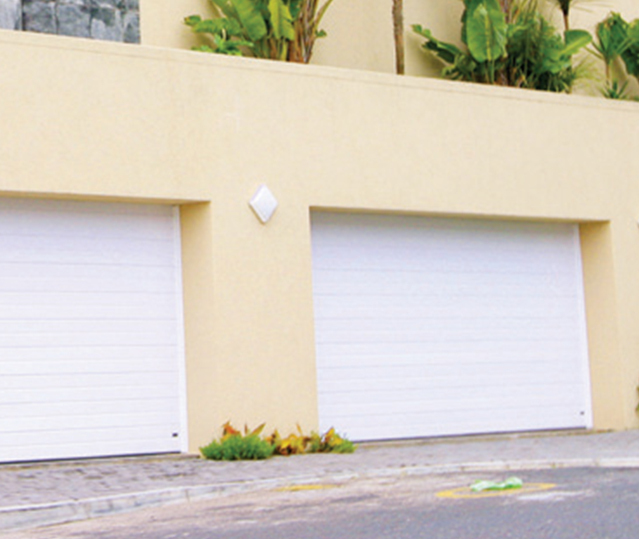 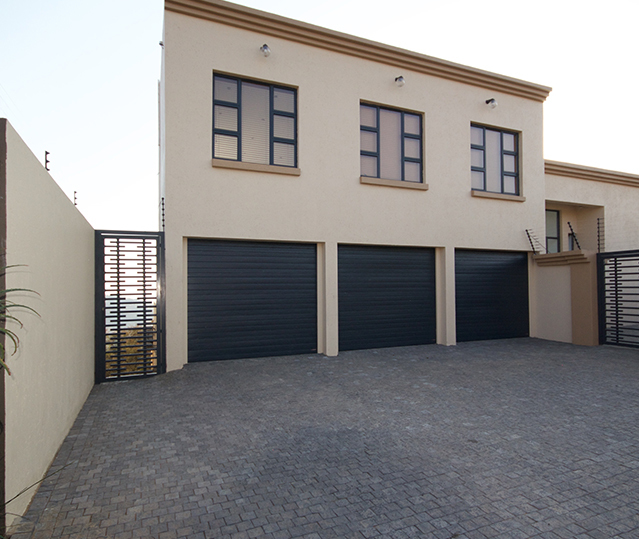 The standard doors consist of 5 hinged sections per door. 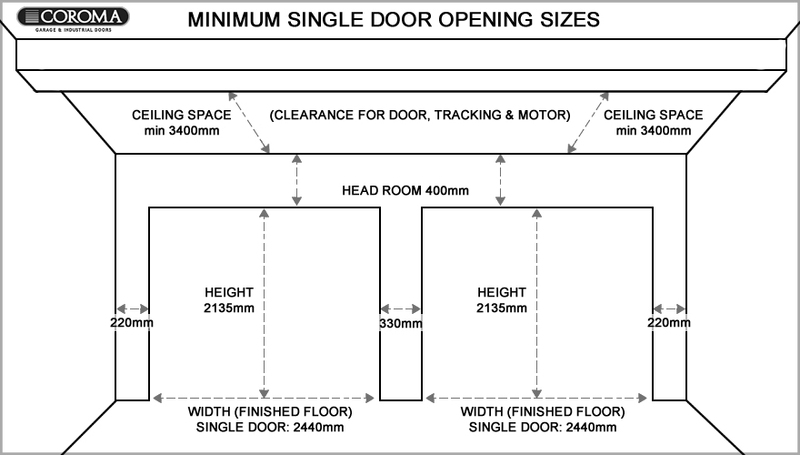 Custom door sizes are available on request. 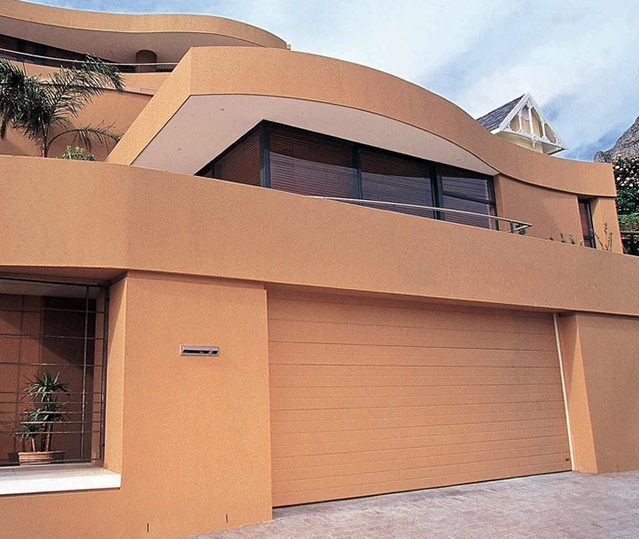 The robust design and construction of Corosmooth panels enable wider and higher openings.